Introducing a new line of products for schools with character education programs. Everything is customized with YOUR school mascot, YOUR colors and YOUR words. 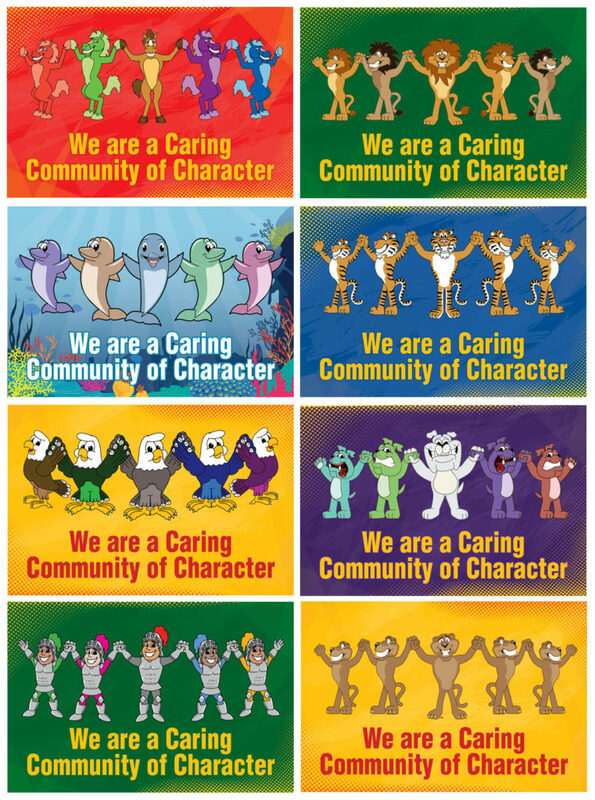 For schools that focus on a different character trait each month, these posters are a great way of incorporating your targeted character trait into the climate and culture of your school. Use the word clouds to explore the meanings of each character trait so the students develop a deeper understanding of each concept. 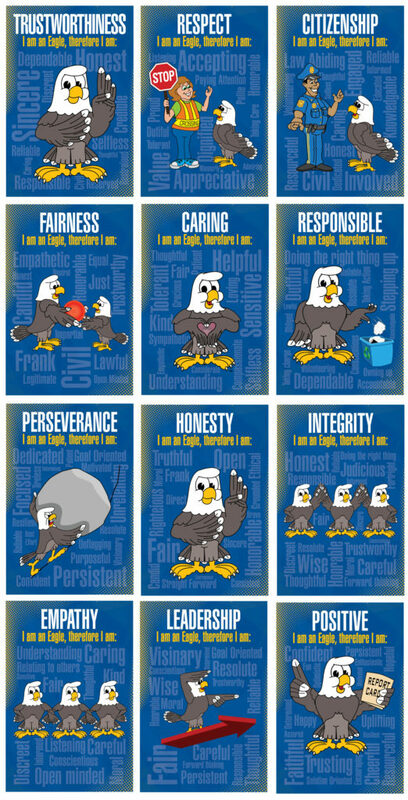 These character trait posters feature an eagle mascot, but are also available with other mascots, and can be customized with different words and colors for your school. Build a highly engaging school climate around your school mascot and reinforce what it means to be part of your school's community with a very positive message about caring. Use these Caring Community of Character posters to create an engaging school climate around your character education program. Use your mascot to make your messaging self-relatable for the students. 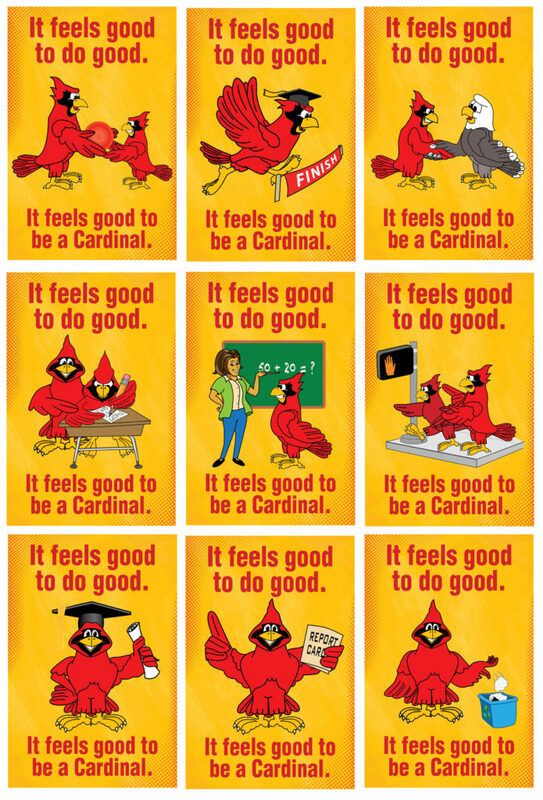 Use these posters to engage students in conversations about how it feels to exercise positive character traits, and the emotional rewards of enjoying social success within their mascot's community. Explore how it feels to exercise positive character traits, while creating a sense of community around being part of your school mascot's culture.